UFC on ESPN: Velasquez vs Ngannou was a big card when it comes to the future of UFC. The card had several fights which determined the future course of UFC as a company in the Heavyweight Division. 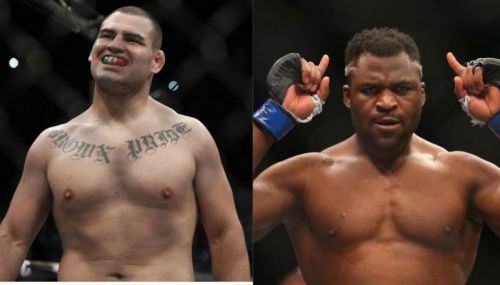 In the main event, a returning legendary fighter, Cain Velasquez, faced Francis Ngannou in a fight that might just determine who fights next for the UFC Heavyweight Championship against Daniel Cormier. After a less than impressive 2018, Francis Ngannou was able to finish the year on a good note by beating Curtis Blaydes -- that is the form he was to continue. Cain Velasquez, on the other hand, has been away from the Octagon for the better part of 2.5 years. He was looking to make his return on a good note. In the co-main event, James Vick and Paul Felder faced each other. Vick and Felder had been set to face each other last month, at UFC 233, but their fight was rescheduled when the pay-per-view was cancelled. Now, without any more ado, let's take a look at all the results from UFC tonight. Round 1 Results: The first round saw Andre Fili with the upper hand. 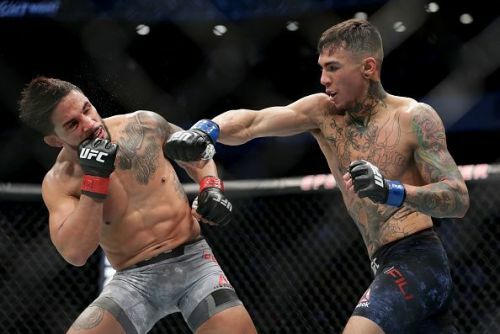 He landed numerous jabs on his opponent, and it looked like there was no stopping the fury of Andre Fili. He busted Jury's nose open with a hard strike. Jury got somewhat of a control back later in the round. Round 2 Results: The second round saw Myles Jury make somewhat of a comeback during the fighting. They exchanged kicks and strikes, with Jury knocking down Fili with a Spinning back-fist, but could not really keep him down. Round 3 Results: The third round saw Jury back in control of the fight, but Fili quickly gained it back. Jury landed a couple of big shots on Fili, but the rest of the round was all about Fili. They traded shots to end the round.